Baby shark! If you are under the age of 10, or you have children under the age of 10, the chances are that you know this song exists and that you feel personally responsible for a large portion of the 2 billion views that the song has on YouTube! Well, now you can pay tribute to the song with this fantastic children´s sticker depicting a shark - Some would call it a baby shark! 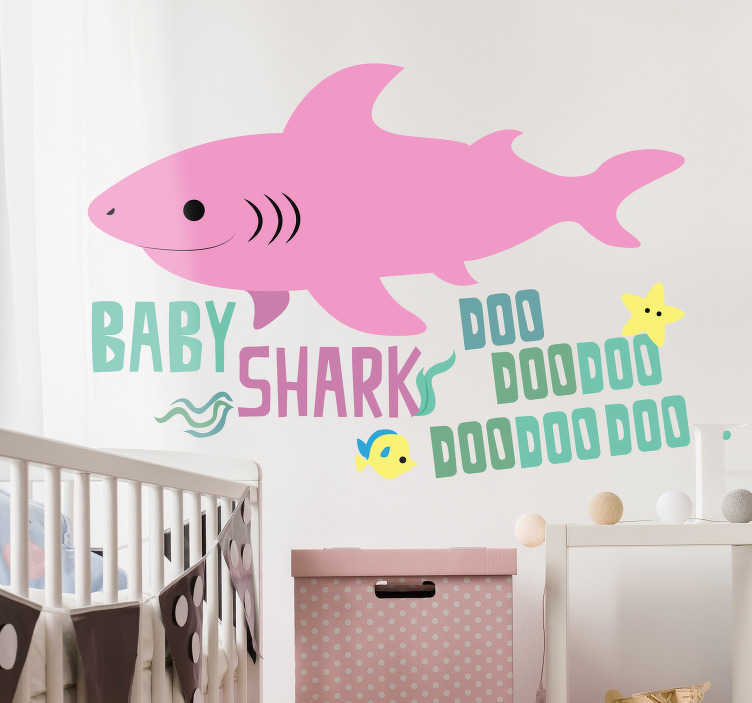 Ideal baby shark decor for any part of your home!